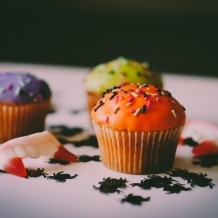 Halloween baking with your little ones is not only yummy and fun but also the perfect time to make memories! Get messy and have fun! 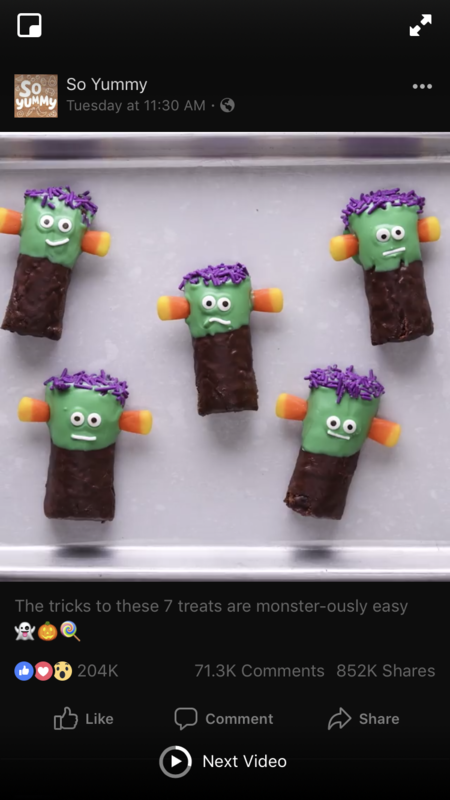 If you're looking for some Halloween treats that are fun to make & fun to eat, look no further! Today we've rounded up 5 DIY Halloween Treats. 1. These Graveyard Brownies are both spooky and yummy! Plus, you could do all the cooking and have kids help you assemble (or just lick the bowl )! 2. Craving something adorable!? You have to whip up these Rice Krispie Monsters from One Little Project. Take it to the next level by adding peanut butter in your treats for the ultimate treat. 3. If you're wanting to take the lazy route, we won't judge! You can still have an extremely fun, creepy and cute dessert with no fuss! Check out this Halloween Bark from Living Locurto Blog. 4. Swiss Cake Rolls are a classic treat, but this year they're getting a fun twist. Turn up 'Monster Mash' and start dipping.. these will be everyone's favorite! All you need is white chocolate chips, green food colors, candy eyes, sprinkles & candy corn! 5. These Bat Marshmallow Pops will steal the show! Perfect to make ahead and send to school for a little treat. What are you whipping up this Halloween? Need a way to burn off all the extra sugar? Come try Little Explorers today! Your little one will have so much fun, while exercising, making friends and memories that will last a lifetime. © 2019 Dance Academy by 180 Pro. Designed by KeyCreative and powered by iClassPro.